WE HAVE THE EXPERTISE TO GET YOU APPROVED! The surgical treatment of morbid obesity is a covered benefit under many insurance policies. Coverage depends on what type of policy you have and the terms within the policy. Each insurance policy can vary greatly, even when issued by the same company. Your employer dictates the coverage in your policy. At Bariatric Surgery Specialists, if you have the benefit and meet the requirements, we WILL get you approved. These are actual Policy Bulletins from many of the major insurance carriers. Your policy may vary so allow us to check your benefits for you! These are basic guidelines but your policy may be different, so allow us to check for you! Aetna: Per Clinical Policy Bulletin 0157, all patients require 2 years documented medical history of morbid obesity, 3 months physician supervised non-surgical diet, exercise and behavior modification treatment and a psych evaluation if medically indicated. StomaphyX is experimental and not covered. Anthem Blue Cross: Per Clinical Policy Bulletin SURG.00024 insurance requires Attachment A to be filled out which requires psych and one diet consult. Sleeve and StomaphyX are investigational and not covered. Blue Cross Federal: Pt must have BMI over 40 or BMI 35-40 with treated, uncontrolled co-morbid condition. Sleeve is covered. StomaphyX is covered. Blue Cross National CareFirst: Per Policy Bulletin 7.01.036 insurance requires psych clearance and 6 month diet (or two 3 month diets). Gastric Sleeve is covered. StomaphyX is experimental and not covered. Blue Cross of Alabama: Per Policy Bulletin 053 insurance requires 6 months diet (supervised by non-bariatric surgeon), three years medically documented morbid obesity and H & P by bariatric surgeon. They will accept Weight Watchers, LA Weight Loss, Jenny Craig etc. with physician supervision and documentation. Sleeve and StomaphyX are investigational and not covered. Blue Cross of Arkansas: Per Policy Bulletin 1998118 insurance requires BMI over 36 and failed structured weight loss program. Gastric Sleeve is covered if BMI >60 with cardiac or pulmonary co-morbidities. StomaphyX is experimental and not covered. Blue Cross of California: (mandated coverage) Per Policy Bulletin SURG.00024 insurance requires one diet consult with history of previous weight loss attempts, psych evaluation, compliance letter from patient, and treatment plan. Gastric Sleeve and StomaphyX are investigational and not covered. Blue Cross Blue Shield of Delaware: Insurance requires LOMN, cardiac, pulmonary and psych clearance and sleep apnea work-up. Blue Cross Blue Shield of Florida: Per Policy Bulletin 02-40000-10 insurance requires five-year history, 6 month diet, psych evaluation, and TSH showing no endocrine disorders. Sleeve and StomaphyX are investigational and not covered. Blue Cross Blue Shield of Georgia: Per Policy Bulletin SURG.00024 insurance requires one diet consult with history of previous weight loss attempts, psych evaluation, compliance letter from patient, treatment plan, and attachment A. Gastric Sleeve and StomaphyX are investigational and not covered. Blue Cross Blue Shield of Illinois: Per Policy Bulletin SUR716.003 insurance requires five-year history, 6 month diet, psych evaluation, and willingness to comply letter. Sleeve and StomaphyX are investigational and not covered. Blue Cross of Blue Shield Massachusetts: (mandated coverage) Per Policy Bulletin 379 insurance requires one diet consult with history of previous weight loss attempts. Sleeve and StomaphyX are investigational and not covered. Blue Cross Blue Shield of Michigan: Per Policy Bulletin – The Record of March 2005, insurance requires medically supervised 12 month diet failure, PCP clearance and psych evaluation. Sleeve and StomaphyX are investigational and not covered. Blue Cross Blue Shield of Minnesota: Per Policy Bulletin IV-19 insurance requires two year history of morbid obesity, 6 month diet failure, psych evaluation and compliance letter – Gastric Sleeve may be considered with BMI >50 and severe co-morbid conditions. StomaphyX is experimental and not covered. Blue Cross Blue Shield of Mississippi: Per Employee Access Policy Bulletin insurance requires five-year history of morbid obesity, documentation of failed diet attempts and TSH. Sleeve and StomaphyX are investigational and not covered. Blue Cross Blue Shield of Nebraska: Per Policy Bulletin 1.23, insurance requires five-year history, no treatable medical cause for obesity and over age 16. Sleeve and StomaphyX are investigational and not covered. Blue Cross Blue Shield of New Mexico: Per Policy Bulletin SUR716.003 insurance requires five-year history, 6 month diet, psych evaluation and willingness to comply letter. Sleeve and StomaphyX are investigational and not covered. Blue Cross Blue Shield of North Carolina: Per medical policy bulletin SUR6710 insurance requires five-year history, psych evaluation, PCP clearance with TSH and diet consult. Sleeve and StomaphyX are investigational and not covered. Blue Cross Blue Shield of North Dakota: Per Corporate Medical Policy insurance requires physician documentation of weight loss measures over the past 5 years, three-year weight history and psych evaluation. Limited to one procedure per lifetime. Sleeve and StomaphyX are investigational and not covered. Blue Cross Blue Shield of Oklahoma: Per Policy Bulletin SUR716.003 insurance requires five-year history, 6 month diet, psych evaluation and willingness to comply letter. Sleeve and StomaphyX are investigational and not covered. Blue Cross Blue Shield of Tennessee: Per medical policy insurance requires completion of the Pre-Bariatric Evaluation Tool, requests documentation of specific dates of diets, length of diets with successes and failures for past two years, PCP must document 10% wt loss, five year history and psych evaluation. Gastric Sleeve may be covered on case by case determination. StomaphyX is investigational and not covered. Blue Cross Blue Shield of Texas: Per Policy Bulletin SUR716.003 insurance requires five-year history, 6 month diet, psych evaluation and willingness to comply letter. Sleeve and StomaphyX are investigational and not covered. Blue Shield of California: (mandated coverage) Per Policy Bulletin insurance requires completion of Prior Auth Review sheet, medical/surgical evaluation and clearance, psych evaluation and one diet consult. Champ VA: Per Policy Bulletin 38 CFR 17.270(a) and 17.272(a)(22) with Related Authority 32 CFR 199.4(e)(15) insurance requires BMI over 40, BMI over 35 with an associated co-morbid or revision due to complications. Sleeve and StomaphyX are investigational and not covered. Empire Blue Cross: Per Policy Bulletin SURG.00024 insurance requires diet consult, exercise consult, TSH, psych evaluation and attendance at support groups. Sleeve and StomaphyX are investigational and not covered. Excellus Blue Cross: Per Policy Bulletin 7.01.29 insurance requires 5-year history, 6 month diet, TSH, documented 6 month abstinence from drugs/alcohol and psych evaluation. Sleeve and StomaphyX are investigational and not covered. First Health: Per faxed policy insurance requires 3 month multi-disciplinary diet approach, psych evaluation, cardiac evaluation, pulmonary evaluation and post-op program. Great West: Effective April 1, 2008 Great West is Cigna – see Cigna for requirements. Highmark Blue Cross: Per Policy Bulletin G-24 insurance requires physician supervised 6 month diet and exercise program and psych evaluation. Sleeve and StomaphyX are investigational and not covered. Horizon Blue Cross Blue Shield of New Jersey: Per Policy Bulletin 022 insurance requires five-year history of morbid obesity, 6 month diet and exercise program and psych evaluation. Sleeve and StomaphyX are investigational and not covered. Humana: Per Policy Bulletin insurance requires 6 month medically supervised diet, Primary Care Physician clearance and psych evaluation. Sleeve and StomaphyX are investigational and not covered. Independence Blue Cross: Per Policy Bulletin 11.03.02e insurance requires medical clearance, psych clearance and one time in-depth diet consult. Sleeve and StomaphyX are investigational and not covered. Medicare: Per Policy Bulletin S-131A insurance requires BMI of >35 with at least one co-morbid condition, minimum two year history of morbid obesity, 6 month PCP diet or 3 month multi-disciplinary diet, exercise and behavior modification program with neither supervised by the surgeon and psych evaluation. Sleeve and StomaphyX are investigational and not covered. Pacificare – Secure Horizons: Per Utilization Management at Pacificare, this is a general exclusion on the policy but should be submitted with LOMN, PCP, pulmonary, cardiac and psychiatric clearance along with three year history of diets tried and outcomes. Premera Blue Cross: Per Policy Bulletin CP.MP.PR.7.01.516*, only requires form 14784 faxed in with letter of medical necessity and after care explanation letter. Sleeve and StomaphyX are investigational and not covered. Principal Financial Group: Per fax transmission insurance requires three-year history, 6 month diet supervised by physician other than surgeon and psych evaluation. Regence Blue Shield: Per Policy Bulletin 58 insurance requires 6 month diet, psych and documentation of willingness to comply. Sleeve and StomaphyX are investigational and not covered. Unicare: Per Policy Bulletin SURG.00024 insurance requires completion of Attachment, one in depth diet consult, psych evaluation and compliance letter. Sleeve and StomaphyX are investigational and not covered. United Health Care: No set policy bulletin. Each case to be evaluated individually. United Health Care – THR: Pt has a $4000 bariatric co-pay and must attend five months of Healthy Weight – NO LAP BAND. Wellmark Blue Cross Blue Shield: Per Policy Bulletin 07.01.17 insurance requires two year attempt with PCP supervised diet, three-year history and psych evaluation. Sleeve and StomaphyX are investigational and not covered. Click here to get started on scheduling your appointment for weight loss surgery! Not sure if you have insurance coverage for weight loss surgery? Click here to let us help you get approved. Each insurance company has its own criteria for bariatric surgery, and policies change frequently. We will work with your insurance company on your behalf and submit all required information to expedite their approval process, so you'll know in advance what is covered. First we will prepare a letter to establish the "medical necessity" of weight loss surgery and obtain pre-authorization from your insurance company. We will need some facts and records from you to prepare this letter, such as your height, weight, body mass index and any documentation proving how long you have been overweight. Insurance companies will not accept "morbid obesity" as enough to establish medical necessity. They require a full description of your obesity-related health conditions, including documentation of the effects they've had on your everyday life, records of treatment, and medication histories. We will need a detailed history of your dieting efforts and results with medically and non-medically supervised programs, including medical records, and payment and attendance records with commercial weight-loss programs. We will also need a history of your exercise programs, including health club membership receipts. Lastly, we will need a letter from your general physician diagnosing you as morbidly obese and stating that you are a candidate for bariatric surgery. Your physician should also state that he or she has supervised you in diet and exercise attempts that have not significantly helped. You may have to change policies, if this is an option, during open enrollment from the HMO to the PPO, although there is no guarantee that the other policy will cover obesity surgery. You may have to change to a spouse’s policy. 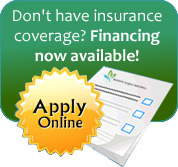 You may have to finance or privately pay the surgery (please call our office for details). The surgical treatment of morbid obesity is a covered benefit under many insurance policies. Coverage depends on what type of policy you have and the terms within the policy. Each insurance policy can vary greatly, even if different policies are issued by the same insurance company. Your employer and the insurance company determine the benefits available to you.